dull roar: Puttin' the "Pro" in "Proposal"
Ok, I promise this post has nothing to do with wedding proposals. We're going to talk about the sort of proposals that knit/crochet designers are always sending to publishers, yarn companies, etc. As many of you know, I took over the Designer/Project Coordination duties at Malabrigo a few months ago, and in that time I've gotten a LOT of proposals. In the interest of wanting you all the succeed fabulously, I thought I'd put together my little list of tips. Disclaimer: I can only tell you what I find helpful/useful/appealing. It may not apply to every publisher you write to. 1. First thing's first- make sure your portfolio is in shape. 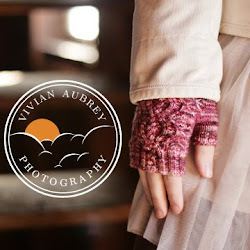 If you're asking for non-book yarn support or submitting to something like MFPP where you'll be self-publishing the patterns (an unusual arrangement, but hey) then we are going to look to make sure you have a few self-published patterns under your belt and that they are well-photographed and appealing. Personally, I also like to see that someone seems to understand their way around Ravelry/the blogosphere and has a fairly active presence. After all, we want you to write patterns that are going to succeed and get lots of attention ;-) If you're submitting to something like a book where someone else is handling the photography/editing/etc, these things are less important, but we still want to see that you've done a fair number of designs and know what you're doing. Please don't apply for yarn support with two badly-photographed designs that have no projects made (or worse, projects made by unhappy people who have found lots of errors! Always test/tech edit your patterns!) That puts us in the awkward position of having to say no, and I hate saying no. 2. Once you've got your best-portfolio-foot-forward, you can start crafting your proposal. Generally there will be two parts- the cover letter, and a pdf. Hello! My name is Alex Tinsley and I would like to submit a pattern for your upcoming book. A detailed proposal is attached, but essentially it is a sweater for dogs that looks like a hot dog. I've worked with a variety of publications in the past, including the book "Sweaters for Hamburgers" and the magazine "Food Knits Quarterly." I really enjoyed your previous book, "Frankenfurter Crochet", and would love to be a part of this new collection! Keep it nice & short- your pdf will do most of the talking. And always link to your Ravelry portfolio even if you have a lovely one on your website- it just makes it easier to always be looking at a consistent format, plus I can see the projects and comments. If you're writing to ask for yarn support, the email will look a little different. Hello! My name is Alex Tinsley and I'm a designer and a huge fan of your yarns. I have a great idea for a hot dog dog sweater that I think would be absolutely perfect in your Meaty Worsted Weight and wondered if you might be interested in providing yarn support. A proposal with more details is attached. The pattern will be self-published and I am planning to release it around the 4th of July, just in time for the hot dog season. Thank you so much for your consideration!" 3. The PDF! Which you will name something useful, like "TinsleySweaterMarch2012"
Aim for slightly better than this. - If this is being sent to a yarn company, list the exact yarn you want to use, in what colors, and what amounts (especially if this is a yarn support request- if it's a book or something, they will have some say in what you use, so just give some specific suggestions.) You can usually find the yardages on the manufacturers website or on Ravelry. Giving us this info up front streamlines the getting-the-yarn-out-to-you-process. - Some back up choices for yarn color in case we can't provide the first choice for some reason. - If the request is to a non-yarn-co publisher, they might have their own ideas about what yarns you'll be using, so just describe the qualities you want- "Soft wool, worsted weight, maybe single ply" or "Something drapey like alpaca and/or silk, sport weight"
- YOUR CONTACT INFO. ALL OF IT. Email, phone, physical address. We're probably not going to call you, but the shipping companies like to have your phone number... and if you don't give us your address, that's one more email exchange that has to happen before we can just send the yarn out. Also, stick your website and Rav portfolio in there again too, just in case the PDF gets separated from the email (lots of publishers save the pdfs separately). - Don't use Papyrus, Comic Sans, or any other eye-searing fonts that everyone hates. Use a simple, readable font. Don't make it super weird colors. And in your actual email? Keep your text looking normal. Either skip the rich text formatting completely, or only use it for stuff like italics. Giant purple novelty fonts make everybody cry. - Speaking of email, think about what your address says about you. "sexybanana69@aol.com" looks a lot less professional than "sallysmithknits@gmail.com" or "sally@sallysmithknits.com." And with the plethora of free email options out there, there's really no excuse for using a joint, family email account with your husband or wife's name on it for business. - Speaking of those projects, make sure your email address isn't impossible to find! Put it in the "about" or "contact" section of your site, or in your Ravelry designer profile (or regular profile) or...somewhere. Somewhere intuitive. You can write it out like "knitter (at) gmail (dot) com" if you're worried about dodging spam. But we can't contact you if we can't find your contact info! And if there are a lot of candidates being considered, people do get skipped over for stupid convenience reasons like that. - Another good reason to know the person behind the email: if we've worked together successfully before, or I know you and your work/reputation well, sometimes you can get away without a full proposal. For example, Stephen West has done a lot of work with Malabrigo (though not with me personally) and can generally be trusted to come up with something brilliant, so if he says "I'm going to make a shawl with X color and X color" I'm probably going to just trust him. - Don't forget to follow-up on yarn support- we really do like to see what you made :-) (And in my case, I'll generally tweet it from the Malabrigo twitter to try and get you some extra traffic.) Also- let us know when the package arrives so we know you got it. That might not be true for every company, but I'm sending the requests to the company in Uruguay so it's a relief to know they've arrived safe & sound. Errrrmmm I think that's it! A lot of it is common sense, but I know it's handy for new designers to have a guide :-) And like I said, this is just MY take on it, so I can't promise every publisher or yarn company will work that way- I hereby absolve myself of any responsibility! Any other folks (perhaps from the publishing end of things) want to chime in? 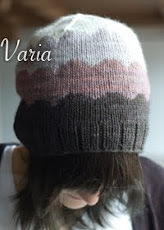 I didn't know you could potentially get free yarn if you have an idea for a pattern! Neat! How does that work? Thanks for the tips (and the humor!). Thanks for the tips, a few things I will think about for an upcoming proposal! This is a super helpful (and amusing!) post, thank you for it! Really useful info, thanks for giving us an insight into the process. What about becoming a pattern tester? Does this same process work, or do you just need to know people who write patterns? >> Giant purple novelty fonts make everybody cry. HA HA HA HA HA HA HA!!!! Well this just made me laugh out loud. Too funny. Sounds like the font equivalent of Barney the Dinasaur. And btw, my tech editor recently steered me firmly away from Comic Sans with a discreet yet polite shudder so this also made me chuckle! Thank you so much! I needed this information and the next day I found it here, it was great! Thanks again! Thank you very much! This is very useful and informative. May I ask what is considered to be a "fairly established portfolio"? Hmm, I would say... at least maybe 5-10 designs, with good photographs and hopefully a few projects on Ravelry so they can get a feel for your abilities and the quality of your patterns. Obviously that's pretty subjective though, haha. Thank you, Alex! This is fair and encouraging.